Cheyney Robinson is an award-winning Executive Creative Director. She is the former Chief Experience Officer at Isobar and previously served as Chief Creative Officer, Europe for IBM where she launched eight European studios. She is a passionate and conceptual digital storyteller with expertise in complex business transformation, omnichannel and experience design. Cheyney is deeply committed to issues of diversity and gender equality in the creative industry. Away from the office, she volunteers for Apps for Good (an organisation supporting digital literacy for children), is a frequent lecturer at Hyper Island and mentors for both SheSays and D&AD Shift. 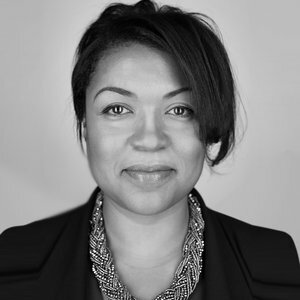 She is a member of the D&AD Advisory Board and also serves on the Board of Directors for Creative Equals.